GORKHA, Mar 1: The District Coordination Committee (DCC) of Gorkha has made an attempt to stop the rampant extraction of construction materials from its rivers. Following complaints from various quarters about the use of heavy equipment in the extraction, the DCC has fixed time for such activities. Nine rural municipalities and two municipalities of Gorkha have awarded contracts to companies to extract resources from their rivers. However, many complained that the contractors are extracting resources in an uncontrolled way, which could have deep negative impacts on the environment. Following such complaints, such activities were halted briefly under instruction from the government of Gandaki Province. The provincial monitoring team then requested the Chief District Officer and the DCC to take measures for stopping such activities. After being pressurized, the DCC called for an all-party meeting. It was held under the leadership of the carryout extraction from rivers only during the set time. They also agreed to use only light equipment for the extraction. The contractors with permission for 5,000 cubic meters can dig for 10 days while those with permission for 5,000 to 10,000 cubic meters can dig for 15 days. Likewise, contractors with permission to extract over 10,000 cubic meters can dig for 20 days. All the contractors have to complete the permitted extraction within the given time frame. “We took such decisions to make the extraction of resources from the rivers more managed,” said Man Prasad Dhital, coordinator of the DCC. 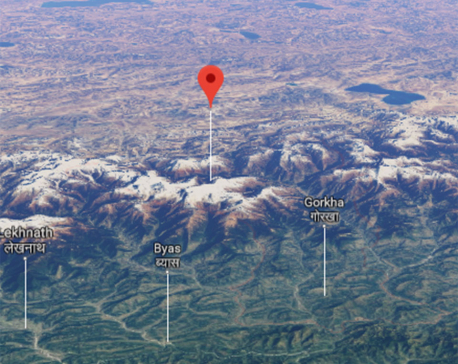 KATHMANDU, April 16: A 4.5 Richter scale earthquake hit Gorkha and surrounding areas at 12:35 PM, the National Seismological Center (NSC) said.